Our female dentist in West Hollywood, Dr. Ghasri, provides expert cosmetic and restorative dentistry services to enhance and perfect your naturally beautiful smile. We offer a full range of dental services to promote your dental health, from general dentistry and restorative treatments to state-of-the-art cosmetic enhancements. As your West Hollywood female dentist, Dr. Ghasri understands that your oral health plays an important role in your overall health. Dental exams can provide valuable insights into your health. At each dental checkup, we will check for signs of periodontal disease, oral cancer, and cavities and offer you treatment options. As a fully informed patient, you will have the tools you need to make decisions that will positively impact your oral health and improve your smile. Our multi-practice dental clinic specializes not just in healthy smiles but also in beautiful smiles. We have an entire team of dental professionals who are board certified and work together to provide you with the kind of carefully coordinated care to help you achieve your oral health goals. 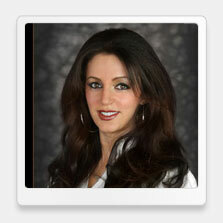 As your female dentist in West Hollywood, Dr. Ghasri is dedicated to helping you restore your smile’s natural beauty. Our West Hollywood female dentist offers a wide range of restorative options, including white fillings to subtly restore cavities, onlays and inlays, and porcelain veneers or Lumineers, which can correct gaps, chips, and minor misalignments and improve the appearance of your smile. We can also offer teeth whitening procedures to whiten and brighten teeth and eliminate staining or reduce the appearance of aging. If you have missing teeth, they may not only affect the cosmetic appearance of your smile but also the function of your entire mouth. 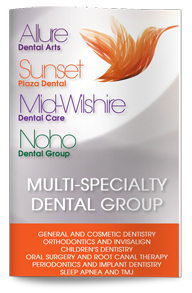 Restore both functionality and appearance with the assistance of our West Hollywood dentist. Whether you choose dental implants, which can replace the root of your missing tooth and act as a secure and solid base for a tooth restoration, or a bridge or denture, we can help you choose the dental prosthesis that will best fit your life and your smile. Contact our dental practice today to schedule your next dental checkup or to learn more about how cosmetic or restorative dentistry can help you enhance your smile.